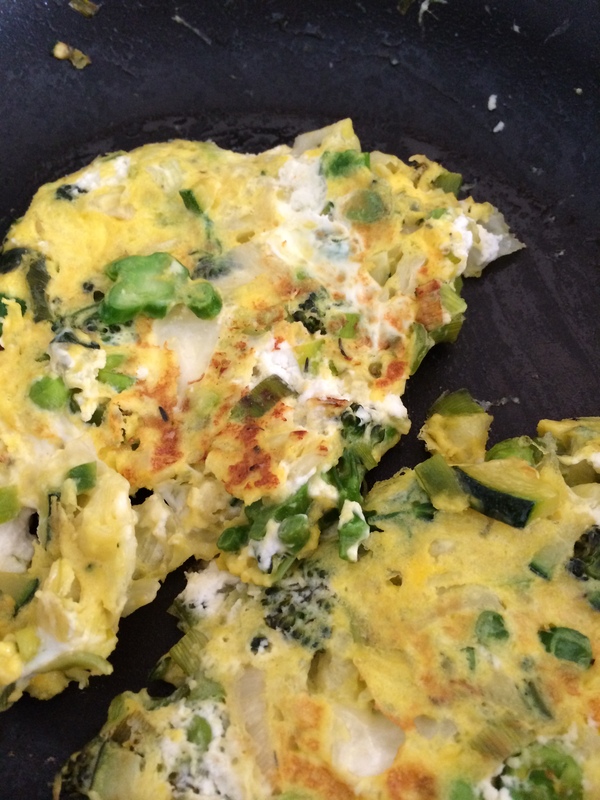 It’s a bit healthy and a bit savory but really good and great with fried rice or just steamed rice. It has some of the flavors of a Chinese dish (soy, ginger and garlic) but it’s not as oily as most Chinese veggies dishes I’ve had. Give it a try. Even the hubby liked it! Preheat the oven to 425 degrees. Drizzle eggplant with oil. Roast the eggplant on a cookie sheet for 8-10 mins. Heat oil in a frying pan. Add garlic, ginger and chili if using. Cook for 2 mins over medium heat. Add tomato paste and cook for 1 min. 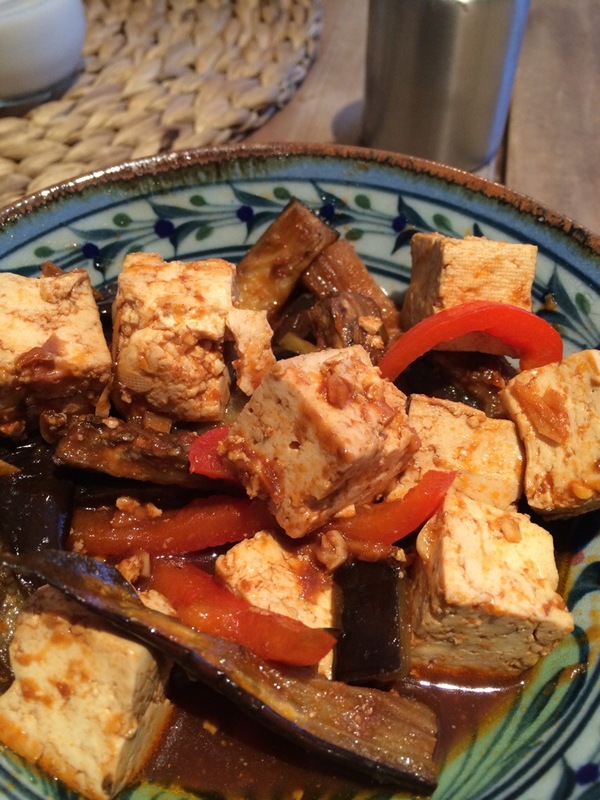 Add roasted eggplant, tofu, red bell pepper, soy and water. Cook covered for 3-5 mins. Taste and adjust for more soy or more water. Today’s the day I’m going to post all my recipes that I’ve been meaning to archive here since THANKSGIVING! It’s been cray, don’t ask. 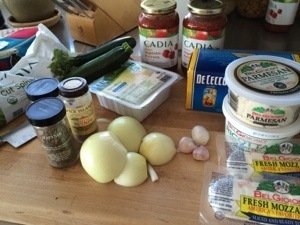 But I’m ready to finally mark this one off my to do list and I’m starting with my most favorite lasagna recipe. I bought an Ann’s frozen veggie lasagna for lunch something like ten years ago. Ever since then, I made my own because it’s so easy and feels so healthy. I know. Can you believe I just said healthy and lasagna in the same sentence? 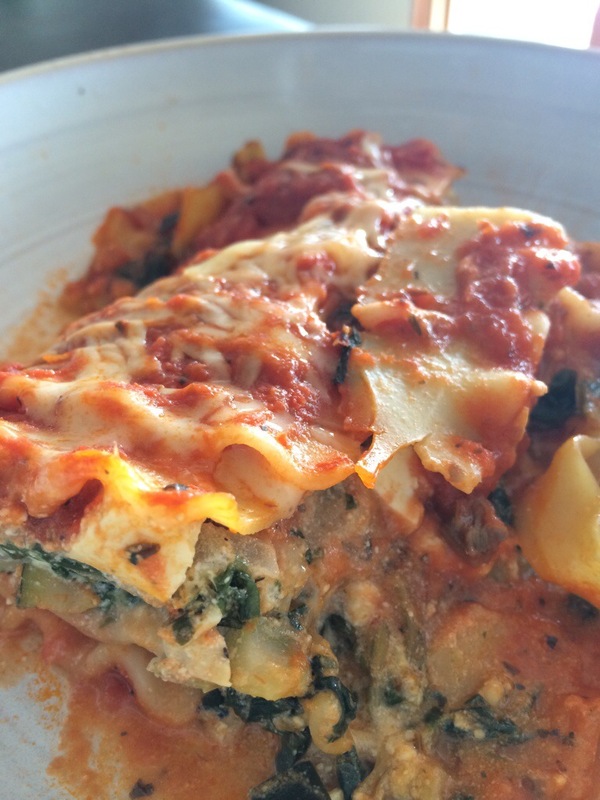 It’s a great Summer lasagna especially if you finish it off it the BBQ instead of the oven. 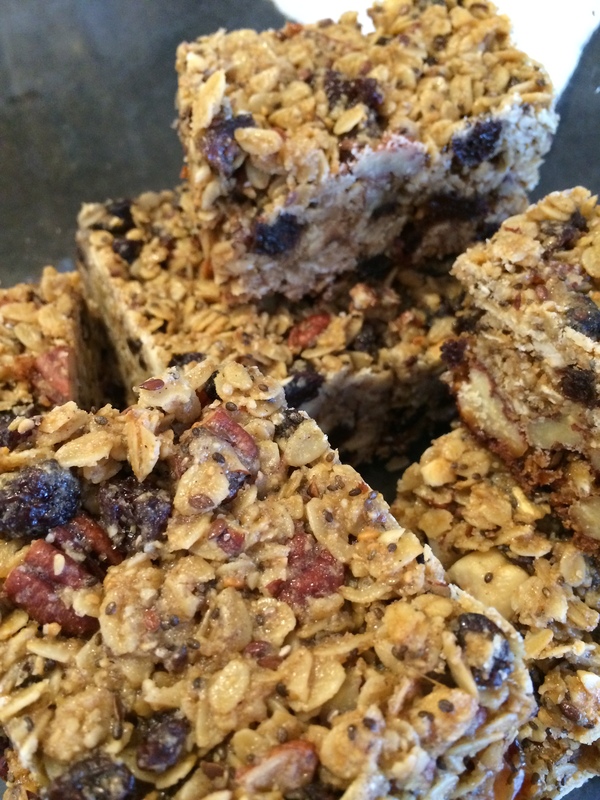 But it was so delicious last week that … Well, I made another batch this week. Boil water in a large pot. Add a bunch of salt so that it’s as salty as the sea. Add enough lasagna noodles to loosely fill the bottom of your 9×12 baking pan. Then multiply times three. (remember that the noodles expand so account for that by loosely filling the pan). Heat a tablespoon of olive oil in a large pan over med heat. Add the onions, garlic, oregano and a pinch of salt. Cook for three minutes. Add the zucchini and cook until tender. Add the spinach and stir until the spinach is incorporated. Turn off the heat. Add the ricotta and nutmeg and mix. Add 2 tablespoons of sauce to the mix. Finally add the tofu and gently fold it in (you don’t want to break up the pieces). Taste for salt and pepper. Spread 2-3 tablespoons of sauce on the bottom of your baking pan. Spread one layer of lasagna noodles. Then layer half your veggie mix on top of the noodles. Sprinkle lightly with cheeses. Add another layer of noodles and repeat with the last of the veggie mix. Add another layer of noodles. Pour about two cups of your sauce on top and spread it around to cover the noodles. Sprinkle with cheese. Cover the pan and pop into the oven for 25-30 mins. Let it sit for 10 mins before cutting into it.